Astro Turf Pitch – St Mary's A.I.D. 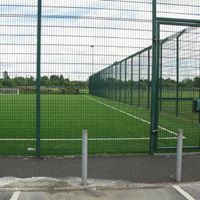 The Astro turf pitch, adjacent to Kings Island Youth and Community Centre, is extremely popular and utilised to the maximum by local clubs, both football and rugby. Should you wish to avail of slots as they become free please contact 061 318106.